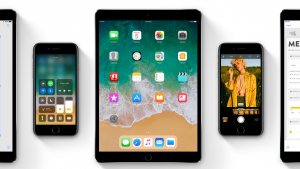 After the great success of the iOS 11, which was estimated to have been applied to a record-breaking 52 percent of all the extant Apple devices, Apple is looking forward to the future where the iOS 12 will be released. Having already shed the burden of the 32-bit apps, this list of iOS 12 compatibility should help you identify all the devices that will support the OS and the ones that will not. Today we want to tell you more about iOS 12 supported devices. We know that new iOS 12 release date is 11-th June, 2018. It’s mean that on new WWDC 2018 Apple will be presented their new iOS 12, macOS 11 and watchOS 4 for all who want install new features on their smartphones, tablets, Macs and Apple Watches. 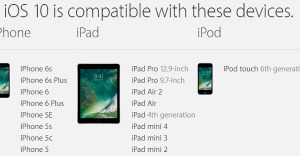 But you must understand that not all “old” devices will be confirmed to new iOS 12. Every year Apple closed way to update some smartphone models and iPad. In 2018 Apple will be closed iPhone 6 and iPhone 6 Plus and some iPads models. There is also the iPod touch (6th generation) that will surely support the iOS 12. This rounds up the list.